There are currently 12 teams in the NHL that have never lifted the Stanley Cup; the Arizona Coyotes, Buffalo Sabres, Columbus Blue Jackets, Florida Panthers, Minnesota Wild, Nashville Predators, Ottawa Senators, San Jose Sharks, St. Louis Blues, Vancouver Canucks, Washington Capitals and Winnipeg Jets. Before anyone mentions the Millionaires; wins by previous teams in those cities don’t count. The Millionaires folded a whole two decades before the Canucks were founded. Some teams are just bad, while others can dominate a regular season but fall apart in the playoffs. Here’s my top five current NHL teams never to win the Stanley Cup. Don’t feel bad if your team didn’t make the list, this season could still be your time to shine. In 2007, the Ottawa Senators reached their first, and so far only, Stanley Cup Final. The Penguins, Devils and Sabres all fell before the Senators, who won each series 4-1. Ottawa’s opponents in the final, the Anaheim Ducks were similarly matched and predicting the winner was difficult. The final series was much more one-sided than anyone thought and the Ducks took the first two games. Ottawa won the third game, but the Ducks rallied to win a close game four, and thumped the Senators 6-2 to win their only Stanley Cup. Despite losing, Daniel Alfredsson, Jason Spezza and Dany Heatley each scored 22 points in the playoffs while Anaheim’s Scott Niedermayer won MVP. The most recent entry on this list, the Sharks were early favourites to win the West and comfortably progressed through the first round and Nashville took the Sharks to a game seven decider in the second round. St. Louis didn’t put up much a fight in the Conference Finals and the San Jose progressed to the finals, where they met the Pittsburgh Penguins who’d already seen off the Rangers, Captials and Lightning. After four games, the three-time cup winners were 3-1 up and well on their way to a fourth. The Sharks won in Pittsburgh to pull the series back to being just one behind. Back at the SAP Centre for game six, the Penguins scored in each period, while the Sharks could only manage one consolation goal. The Sharks fell at the final hurdle. The St. Louis Blues are the only Expansion Six team (still around) to have never lifted the Stanley Cup. Expansion teams have a tradition of being pretty terrible in their first few seasons, but St. Louis bucked this trend by reaching the Stanley Cup final three times in their first three seasons. Unfortunately for the Blues, the Montreal Canadiens (twice) and Boston Bruins swept the finals series on each occasion. This earned the Blues the recognition of having reached the most finals but never won a single game. The Canucks may not currently be troubling the trendy playoff scene, but of all the teams never to win, Vancouver has come closest. In 1994 the Canucks beat Calgary Dallas and Toronto to earn their place in the final with the New York Rangers. After recovering a series deficit to earn a game seven decider, the Canucks and Rangers were tied 2-2 in the second period until a Mark Messier powerplay goal broke both the deadlock, and Canadian hearts. The Canucks played in their second finals in 2011, but were swept 4-0 by the triumphant Boston Bruins in game seven. While Vancouver were just one win away from making history, the Buffalo Sabres top list by making the playoffs twice and simply being more consistent with their performances. In the 1974/75 season, the Philadelphia Flyers had been dominant, winning both their division and conference. But the Sabres were also a force to be reckoned with and the playoffs progressed to a fight between the two. The first time the finals had featured two expansion teams. Both teams won their first two home games, tying the series at two apiece. The Flyers then beat the Sabres 5-1 at the Spectrum to edge the series lead, before winning again in Buffalo 2-0. Clinching the series and the cup. The Sabres had another crack at the cup in 1999, losing just three games en-route to the final against the Dallas Stars. Dallas meanwhile had to contest a game seven decider against Colorado to win the Western Conference. With a few extra days’ rest, the Sabres were slight favourites to lift the cup. After four games the teams were inseparable, but then history repeated itself and the Stars won at home. Game six, held in Buffalo is one of the more memorable in NHL history. Jere Lehtinen gave the Stars an early lead but Buffalo’s Stu Barnes equalised late in the second period. After a goal-free third period, it would take three lots of overtime to find a winner. The Sabres outshot the Stars 54 to 50 but Brett Hull, assisted by Lehtinen and Mike Modano, found the controversial winner. 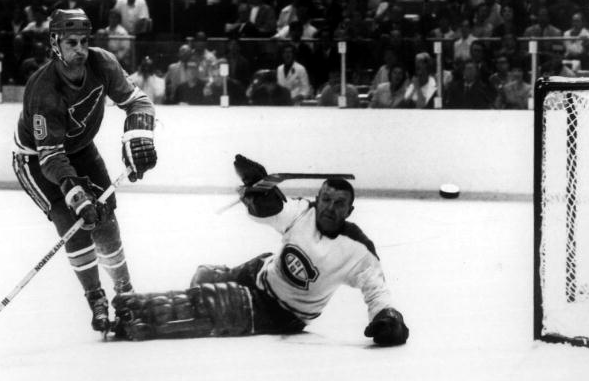 Many Buffalo fans still maintain the goal should not have been allowed thanks to a now-removed NHL rule. But it was allowed and the Sabres missed out again.